Today I want to share such a simple idea with you. It's a different take on a Thanksgiving tree. You might remember the Thankful Tree I shared last year at this time. 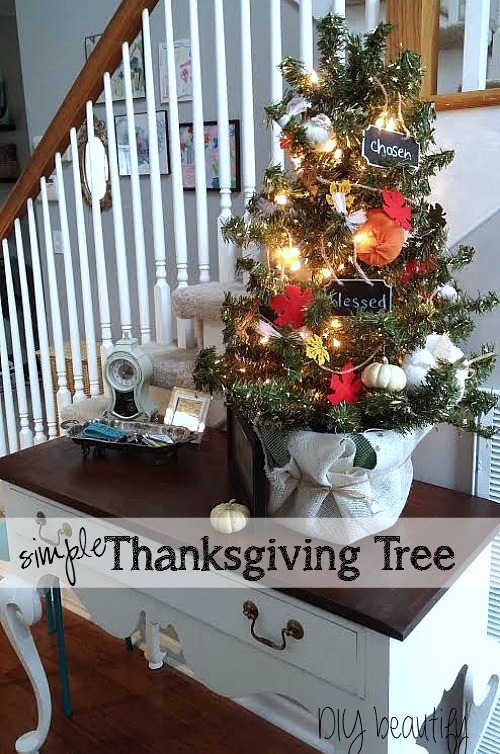 Themed trees are very popular, so why not a Thanksgiving Tree? The benefit is that it will stay out through the holidays, I'll just have to change the decorations. The garland was so easy to make, I almost hesitate showing you. I've included affiliate links for your convenience (my full disclosure is available here). It's a couple packages of felt leaves from Dollar Tree hot glued to a length of jute twine. Silk leaves like these would be pretty too. It's loosely wrapped around the tree. Then I added a few pumpkins...real mini pumpkins and fake ones (my smaller DIY sweater pumpkins)...and some chalkboard tags from Target. The chalkboards each have a Thankful word...Blessed, Chosen, Grateful, Thankful, Loved! So simple. A great reminder that we have So much to be Thankful for! And sometimes, don't we need to be reminded of that? 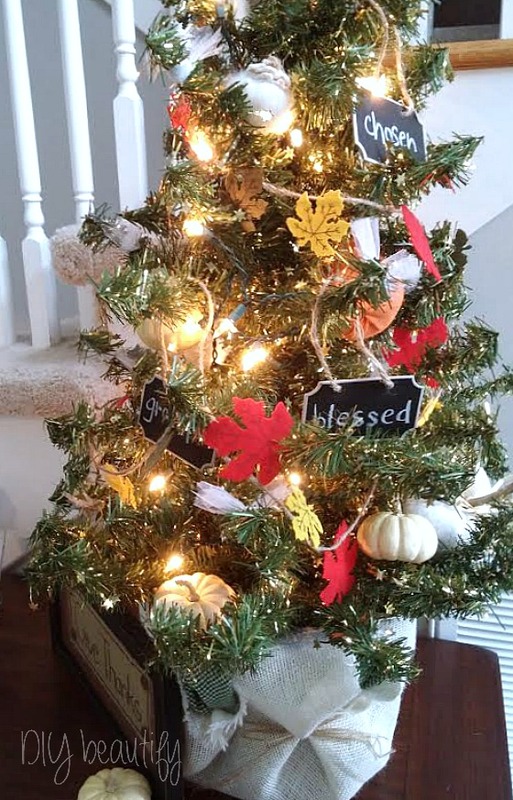 I'm thinking of putting out mini clothespins and paper leaves and having everyone write down what they're thankful for this year and then adding them to the tree. I hope you're having a blessed week as you prepare to celebrate Thanksgiving. This is a great idea, Cindy. I love that it is ready to be changed out for Christmas right after Thanksgiving. This really is a fantastic idea! Love it! Thanks for sharing at Think & Make Thursday! This is a really cute idea, Cindy! 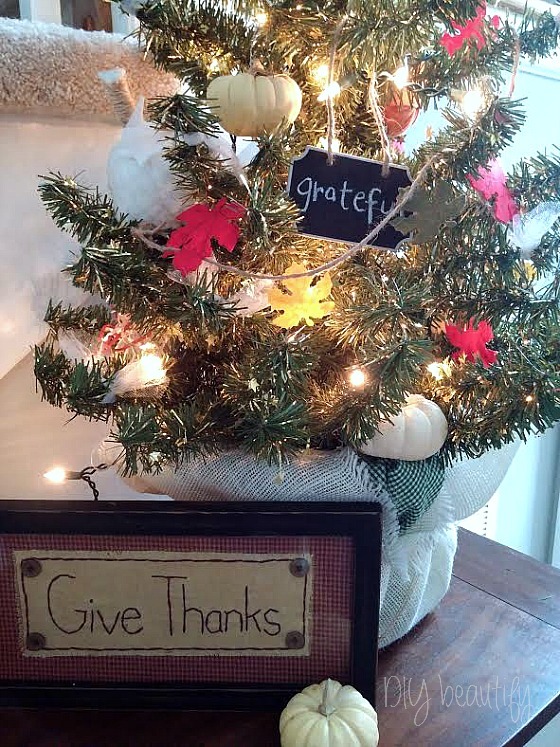 Cindy I love your thankful tree! Thanx for sharing at THT. 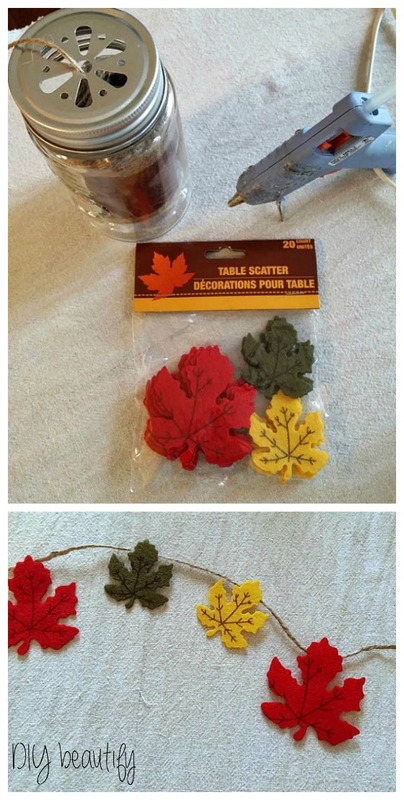 Great idea for celebrating Thanksgiving without totally jumping right to Christmas!